The Supreme Court today dismissed an appeal filed by broadcaster Star India Ltd, against sharing clean feed without advertisements and sponsor logos, with Prasar Bharti. While senior counsel Abhishek Manu Singhvi had appeared for Star Sports, Prasar Bharati was represented by Attorney General Mukul Rohatagi. The Supreme Court rejected a special leave petition by Star India against a 2013 Delhi High Court order which had gone in favour of Prasar Bharati. The Delhi high court ruling had dismissed an ESPN Software Pvt. Ltd plea for a declaration that its responsibility was to share feed received from organizers, which would include advertisements, logos and other on-screen credits during the game. The Apex Court also held that the prohibition in Section 3 of the Sports Broadcasting Signals (Mandatory Sharing with Prasar Bharati) Act 2007 (Sports Act) is not only against advertisements of the broadcast service provider. It is also a prohibition against the content rights owner and holder. Therefore it was immaterial as to who inserted the enhancements. Under the Act the signal to be provided had to be free of advertisements. Prasar Bharati in its petition in the High Court had claimed that the feed being provided contained commercial enhancements and demanded clean feeds from Star India. But Star took the plea that the commercial enhancements were not advertisements and were in any case being inserted by International Cricket Council. 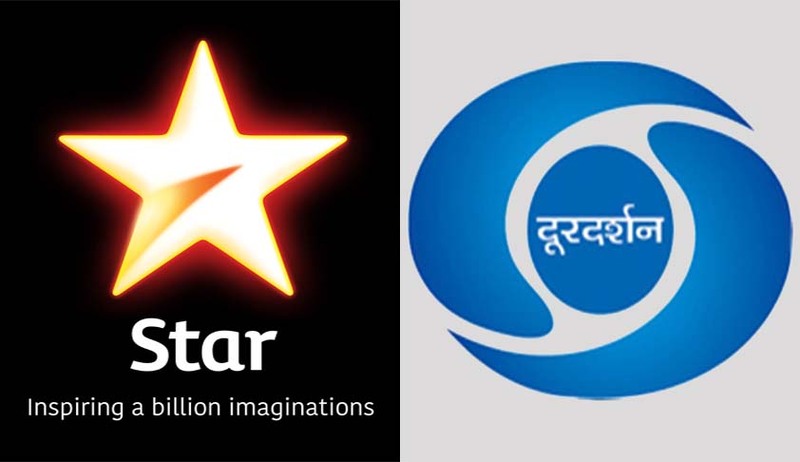 Star India approached the apex court against According to a 2007 rule that private broadcasters such as Star India must share coverage of sports events of national importance with the state-owned Prasar Bharti, without advertisements. Star India contended that this rule would impact not only cricket but other sporting events like tennis and hockey. “From our aforesaid discussion, it becomes clear that the sharing of the signals has to be without any advertisements and if the advertisements are also to be included in the signals, there has to be sharing of the revenue. The learned Attorney General has rightly argued that the word 'its' cannot be given limited meaning by confining it to advertisements only of broadcasting service provider. Section 3 which starts with negative covenant very expressly puts an embargo to all the three categories mentioned therein, viz., content rights owner, (ii) contents holder as well as (iii) television or radio broadcasting service provider not to have television broadcast either through cable or DTH and not to have any radio commentary broadcast unless live broadcasting signal is shared simultaneously with Prasar Bharati. Examined in this hue, it becomes clear that the words 'without its advertisements' which follow immediately after the words 'unless it simultaneously shares the live broadcasting signal' has to be given a meaning that such broadcasting signals are to be without advertisements, whether it is of the content rights owner, content holder or that of television or radio broadcasting service provider. It is made crystal clear by providing the definition of 'content rights owner' or 'holder' in Rule 2(b) of the Rules, 2007. Rule 3(3) takes the issue beyond any pale of doubt when it mentions that the signals to be shared with Prasar Bharati by the content rights owner or holder are to be the best feed that is provided to broadcast service provider in India and has to be 'free from commercial advertisements'. Thus, even if it is ICC which has included those advertisements/logos, the feeds have to be without those logos/advertisements inasmuch as nobody can dispute that the content rights owner are content holder, i.e, ICC in the instant case has included those logos/advertisements from purely commercial angle. Thus, the arrangement between the ICC and the appellant, is totally inconsequential.